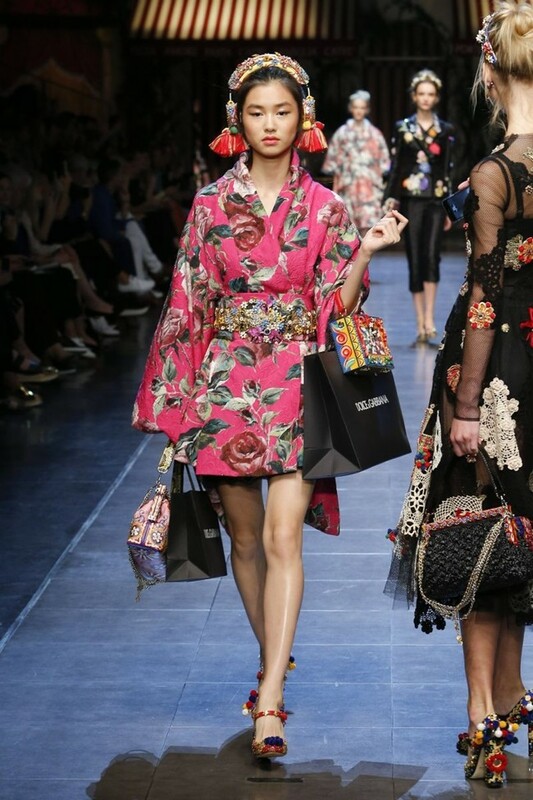 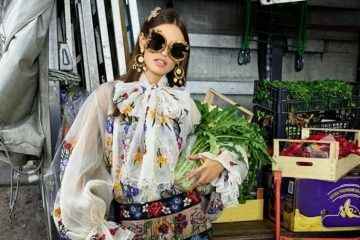 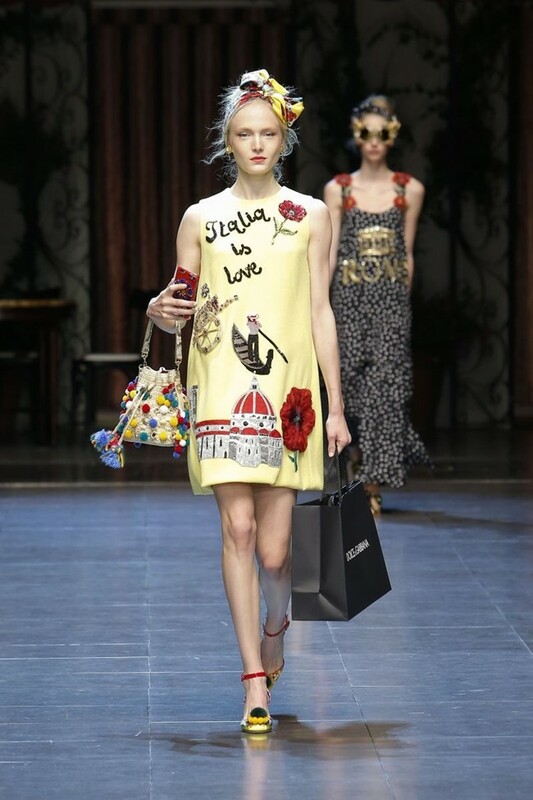 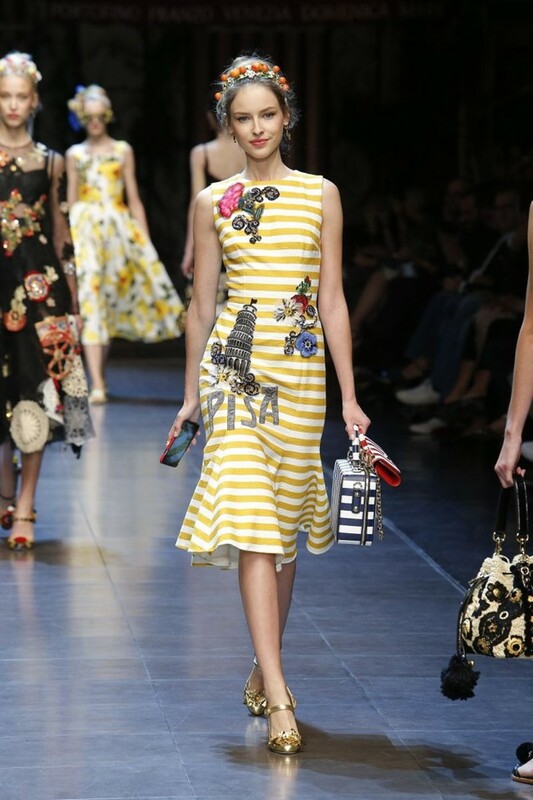 Domenico Dolce and Stefano Gabbana named the Dolce & Gabbana Spring Summer 2016 woman’s collection “Italia Is Love”. 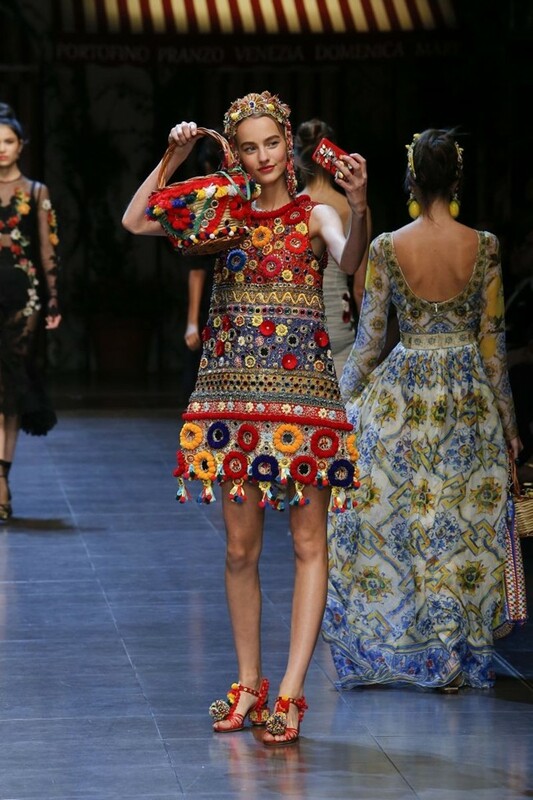 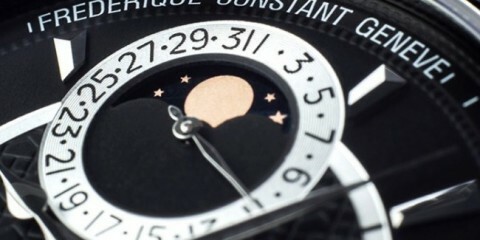 The collection represents the relationship between craftsmanship and art and it is a tribute to Italian style and beauty. 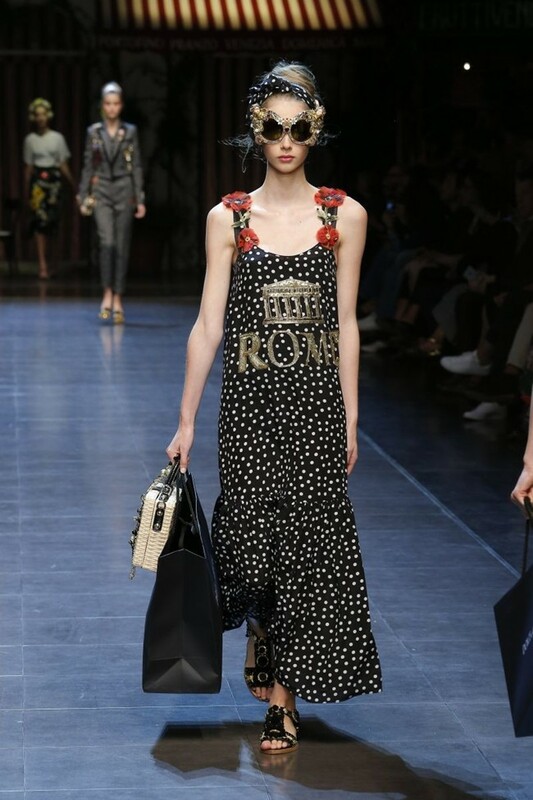 When a woman purchases a dress, she buys a dream, an emotion and this is exactly what Italy gives to them. 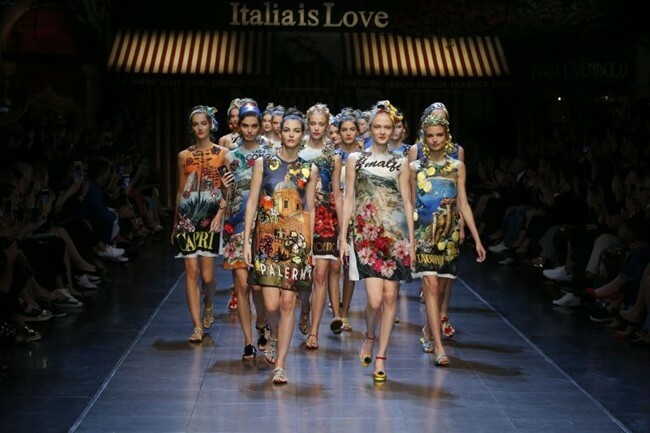 The inspiration of the collection came from the experience that the Designers create each Summer with their Alta Moda, which is showcased in different locations in Italy. 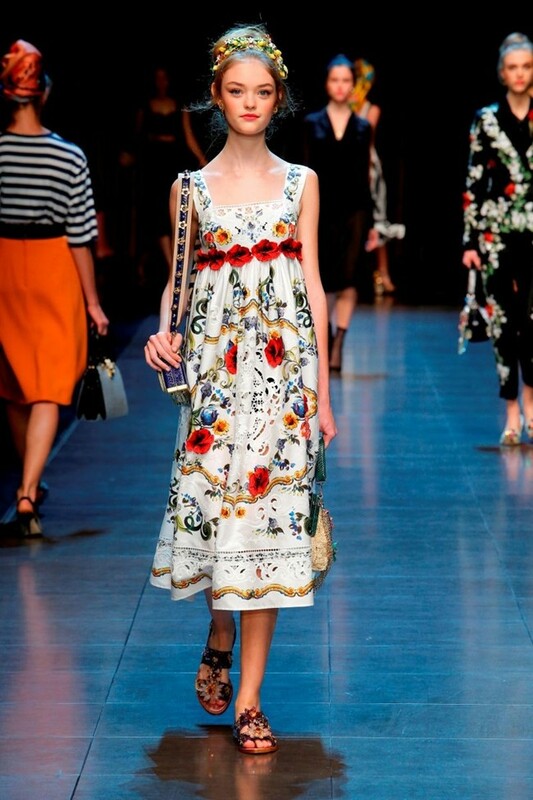 Thanks to their travels, the designers have rediscovered how people and global travellers see and enjoy Summer in Italy. 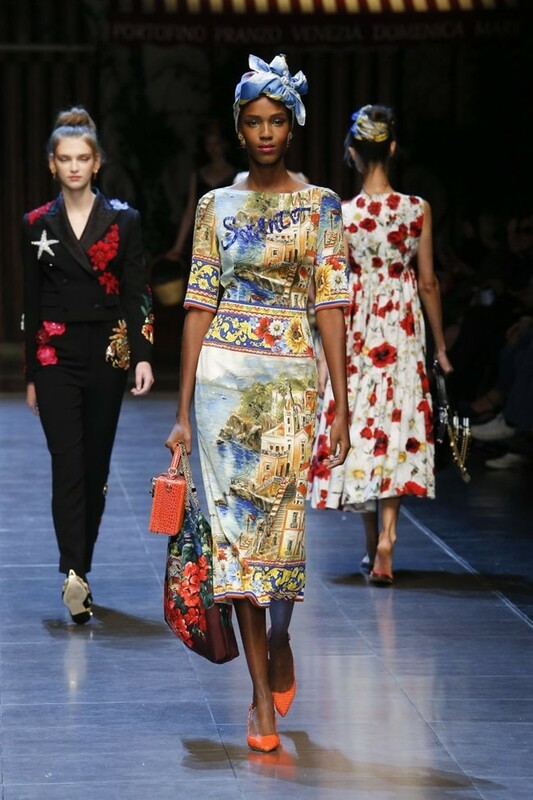 Walking the streets of Portofino or going to Venice and Taormina is something an Italian has grown accustomed to, but for a foreigner it is still cause of wonder. 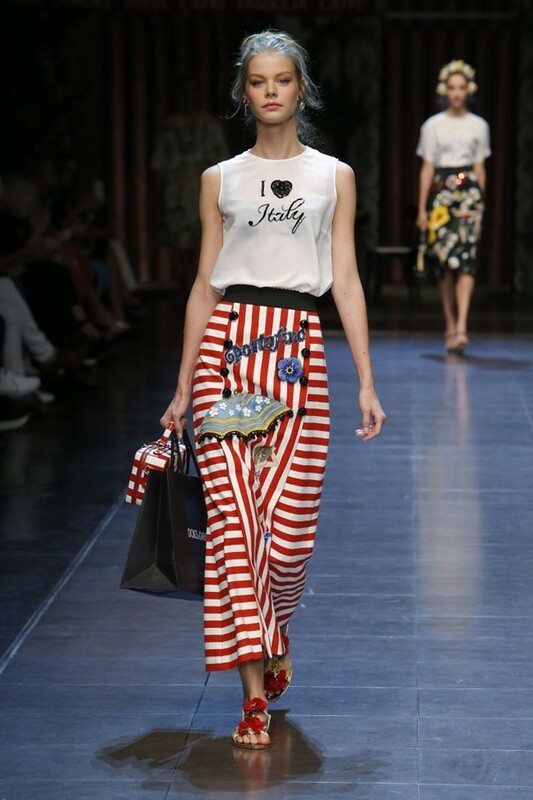 There is little wonder why the collection is called “Italy Is Love”. 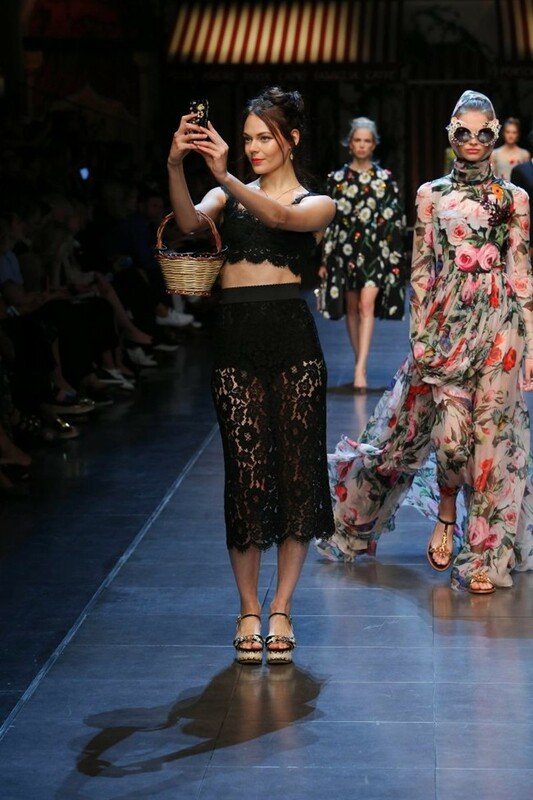 Some of the models during the fashion showcase walked with an iPhone and took selfies on the runaway to represent a timeless holiday tradition, while also showing today’s desire of consuming fashion right away. 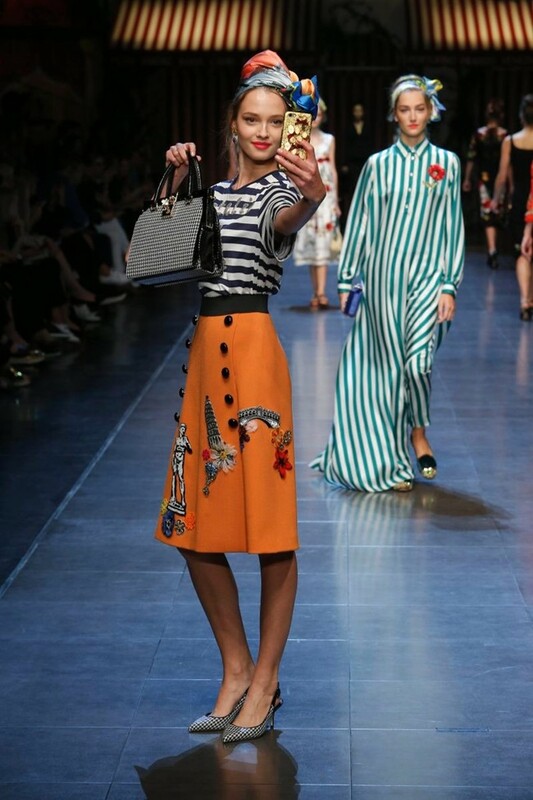 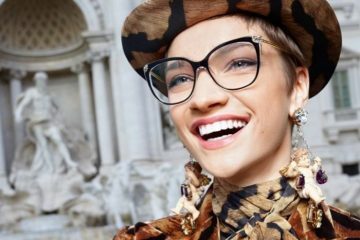 The selfies were projected immediately on screens positioned along the runaway and posted live to Dolce & Gabbana’s social platforms.